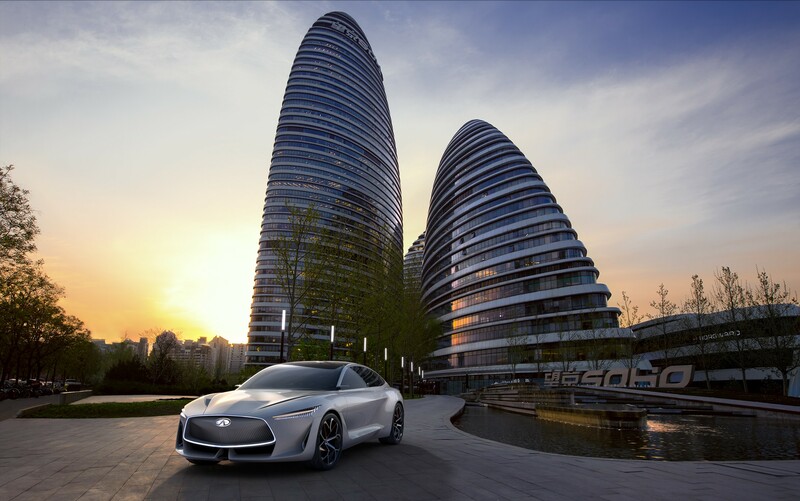 INFINITI Chairman and Global President Roland Krueger announced at a special preview event in Beijing that they are developing an all-new electrified vehicle platform influenced by the stunning Q Inspiration concept car. Along with the recently announced QX50 this will be another one of five new vehicles that will be built in China over the next five years. Whilst no further details have been revealed, vehicles leveraging this new electrified platform are expected to be sold in global markets. The Q Inspiration represents INFINITI’s new form language for an era of advanced powertrains. It features clear and concise exterior lines with dynamic and confident proportions based on classical saloon forms with a coupe-like appearance and an elongated silhouette. The interior follows a minimalist approach, with a clean design enveloping the driver and passengers in a serene and comfortable environment.